Police have once again received reports of vulnerable and elderly people being targeted by fraudsters impersonating police officers, with the latest attempt taking place in Louth yesterday (Thursday). Elderly members of the public have received calls from criminals pretending to be police officers in order to defraud victims of large amounts of money. 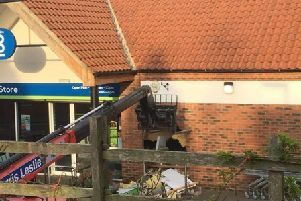 A Lincolnshire Police spokesman said: “Please be aware the police would never ask anyone to do this. If you receive a call and you are unsure, please take the officer’s force and police number and then call 101 on a separate telephone line immediately. “We are also asking people to make their elderly family members aware of this scam, and to raise as much awareness as possible. The recent incidents were reported from Louth (incident 415 of May 24) and Grantham (incident 193 of May 22). Thankfully, both of these attempts were unsuccessful.